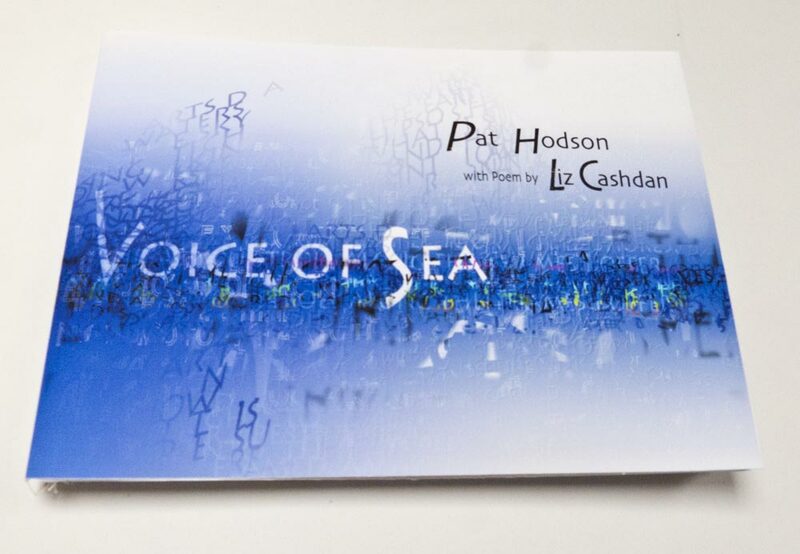 Voice of Sea imagines a limitless sea, in which fragments of word and image dissolve into a shifting phosphorescent haze. Throughout the book, ‘Sea’ murmurs, talking to ‘Will’ admonishing him for ‘stealing storms’; for drowning his ‘created people’, and generally causing chaos. Inkjet pigment printed (Epson Ultrachrome Inks). Pages are folded at the foredge with each page stitched to the next, but not fixed together in to the spine. 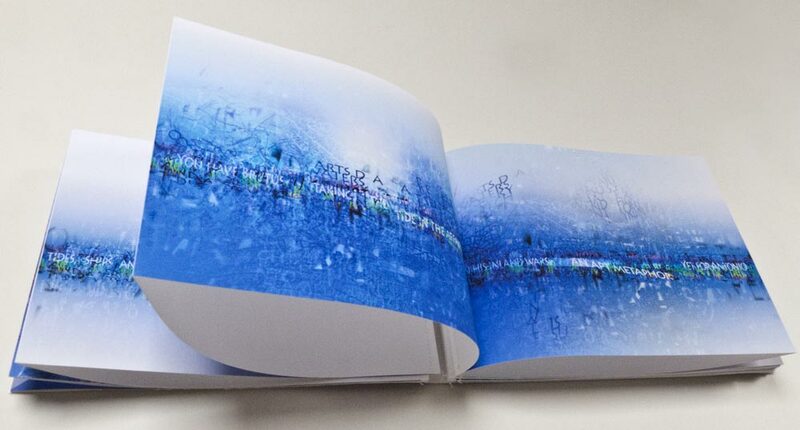 Pages can be turned by placing the had between the pages, so only the reverse is touched, minimising damage to print.